Tracing Rainbows: It's Hari Kuyo Day! I have only just discovered this Festival, and I am intrigued by it. If you've watched Marie Kondo, you will know that before she discards items which do not spark joy, she also holds them briefly and thanks them for the past contribution they have made to her life. It is part of her Shinto belief system. 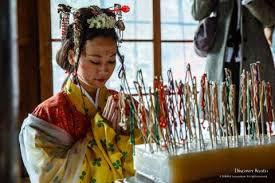 On February 8th every year, hundreds of Japanese women, in colourful kimonos, will gather at Shinto and Buddhist Shrines to mark Hari Kuyo - the festival of broken needles. Throughout the year, the women save any broken needles in a special jar, then on the day, they bring them, and bury them in cakes of silken tofu. It’s not just about needles, several Japanese women consider Hari Kuyo as a time to value the small, everyday objects of daily life that are otherwise forgotten. Burying needles in tofu is said to symbolize rest for the needles, as they are wrapped with tenderness. It’s also about the many sorrows that women are believed to carry in their hearts, the burdens of which are passed on to the needles during many hours of sewing. So the needles do deserve a proper farewell and rest at the end of their service. 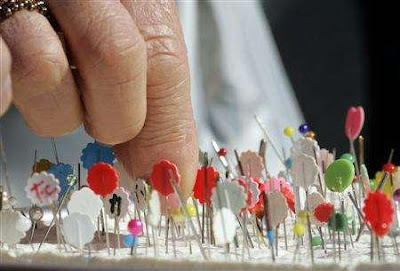 According to Ryojo Shioiri, a Buddhist monk, “Sometimes there are painful things and secrets that women can’t tell men, and they put these secrets into the pins and ask the gods to get rid of them.” This is another example of Mottainai - the concept of not being wasteful about small things. I don't believe my needle has a soul, nor do I tell it my secrets when I am stitching - but I thoroughly approve of not being wasteful with our resources, and disposing of things thoughtfully when they are no longer of use. 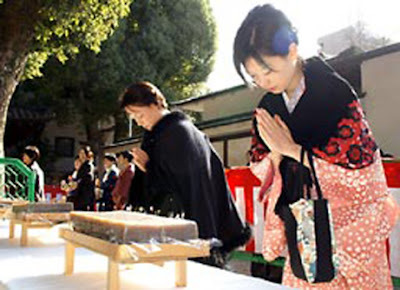 You have to admit, this Festival is quite charming, with its colourful Tofu Cake, and silent rituals of mindfulness. 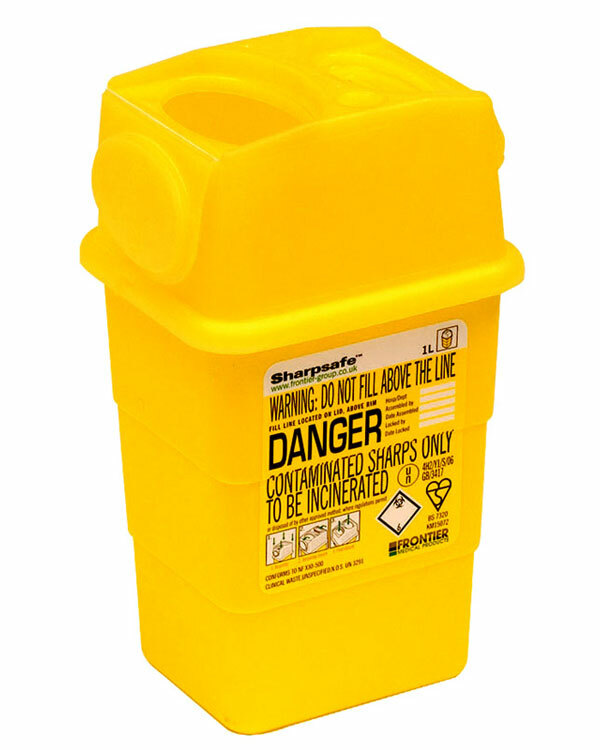 Just compare it with the yellow plastic "Sharps Bins" at the Royal Bournemouth and Christchurch Hospital! It is a lovely custom, isn't it? To appreciate the service given by something as utilitarian as a pin or a needle and to dispose of it in a respectful manner when its usefulness comes to an end.